Ahead of third place by just one vote, Mountain Outfitters staff showed their dedication to snow sports (and float-building) with a ski jump float, complete with skiers taking turns hitting the hill. 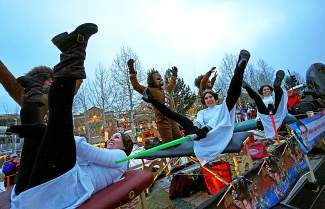 Unanimously, the choreographed dancers of Blue Sage Spa Laser Hair Removal dressed as Princess Leia and Chewbacca stole the show. 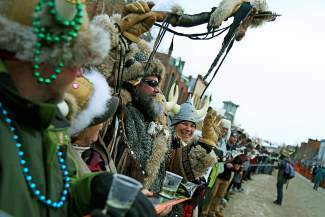 The Breckenridge Distillery broke the record for worldâs longest shot ski with a 1,301-foot ski. 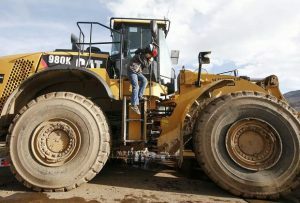 The 2016 ski beat the previous record of 1,250 feet set in Breckenridge in 2015. 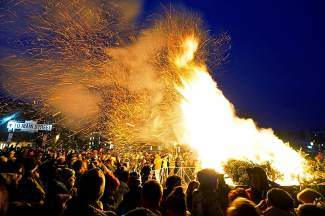 The town bonfire followed the parade. 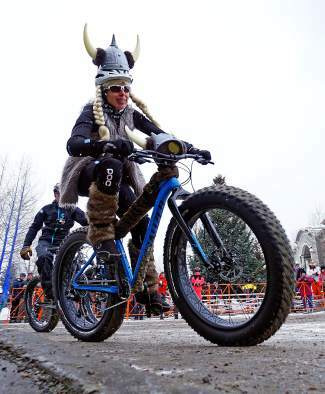 The Eliminator fat bike race took place Friday, Jan. 15 at Ullr Fest. 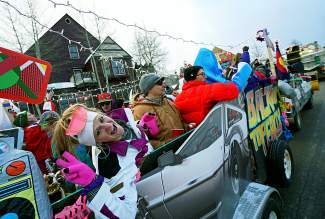 Star Wars themes ruled the 53rd annual Ullr Fest parade, which also included pirates, fat bikes, a ski jump and plenty of faux-fur bikinis. 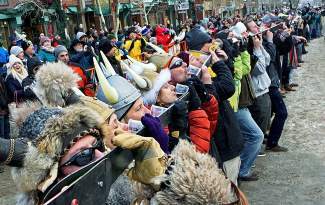 As part of Ullr Fest, Breckenridge’s celebration of the Norse god of snow, the Breckenridge Distillery broke the record for world’s longest shot ski with a 1,301-foot ski. 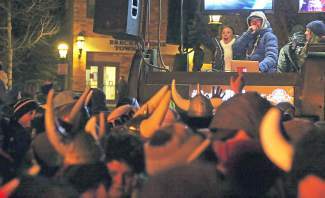 The 2016 ski beat the previous record of 1,250 feet set in Breckenridge in 2015. 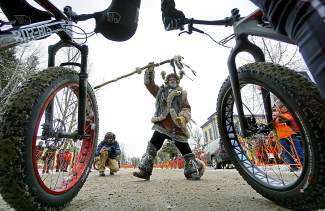 Also that evening, Star Wars themes ruled the 53rd annual Ullr Fest parade, which also included pirates, fat bikes, a ski jump and plenty of faux-fur bikinis. First Place ($500) – Blue Sage Spa Laser Hair Removal sponsored by Chewbacca: Unanimously, the choreographed dancers dressed as Princess Leia and Chewbacca stole the show. Lots of costumed characters, great props and all the effort put into the ongoing dance routine brought Blue Sage to the top. 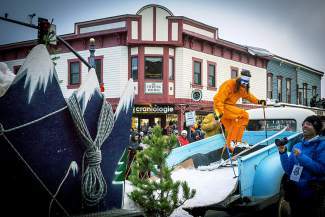 Second Place ($300) – Three Decades of Getting Rad (Mountain Outfitters): Ahead of third place by just one vote, Mountain Outfitters staff showed their dedication to snow sports (and float-building) with a ski jump float, complete with skiers taking turns hitting the hill. 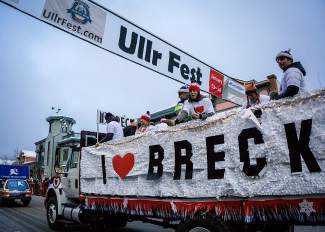 Third Place ($200) – Ullr Wars (Breckenridge Grand Vacations): Known for going all out, Breckenridge Grand Vacations built the float version of an X-Wing Starfighter.